Land Rover has launched two unique adventure travel experiences in Utah and Namibia – both behind the wheel of the new Land Rover Discovery. The Land Rover Utah Adventure offers five days of challenging driving amid some of North America’s most spectacular scenery while the eight-day Namibia Adventure takes in some of Africa’s finest scenery and wildlife. For those wanting an off-road challenge, Land Rover’s Utah Adventure puts driving skills to the ultimate test amid some of America’s most spectacular scenery around the south-western city of Moab. Red rock landscapes and the stark beauty of Arches National Park and the Canyonlands provide a dramatic backdrop for an action-packed drive. Guests will receive a full daily briefing to prepare them for adventures tackling the Seven Mile Rim, Poison Spider Mesa and the Hells Revenge Trails where they will put the vehicles through their paces. 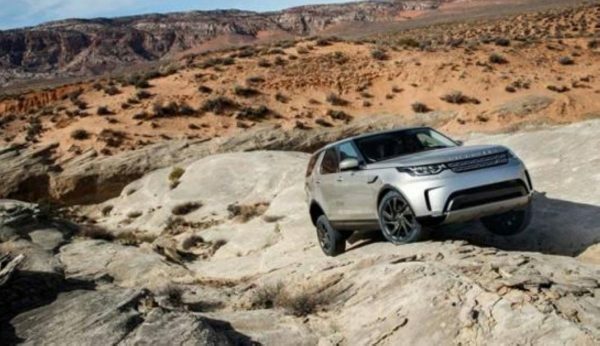 Land Rover’s five-day Utah Adventure starts on 25 October 2017 and costs $5,250 (USD) per person, based on two people sharing [costs $5,775 (USD) if booking as an individual]. It includes all Land Rover driving activities, accommodation, meals and airport transfers. The Namibia Adventure starts when guests get to know the new Land Rover Discovery with a briefing from a Land Rover Experience instructor before setting off to an African lodge to meet fellow explorers and begin their journey. Seeing the ‘big five’ or taking an epic road trip feature heavily on travel bucket-lists but combining it with a self-drive in the new Land Rover Discovery makes for an unforgettable travel experience. Guests can photograph epic sand dunes, spot the continent’s great beasts in Etosha National Park and enjoy spectacular scenery where the Namib Desert meets the South Atlantic Ocean. The Namibia Adventure launches in May 2018 and costs €4,950 per person, based on two people sharing. It includes all Land Rover driving activities, accommodation, meals and airport transfers.